A sunny day in a quaint coastal Florida town is the inspiration for Delray. 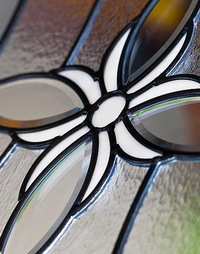 Its floral focal point is framed with a variety of sculptural glass shapes, textured glass, and choice of nickel or patina finish. Welcome your guests with this cheerful addition to your home's entrance door. 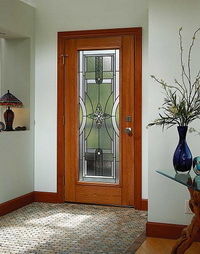 Delray's Contemporary design offers a high privacy level.